The UltraShot cannon is the red cannon, which can be moved vertically. 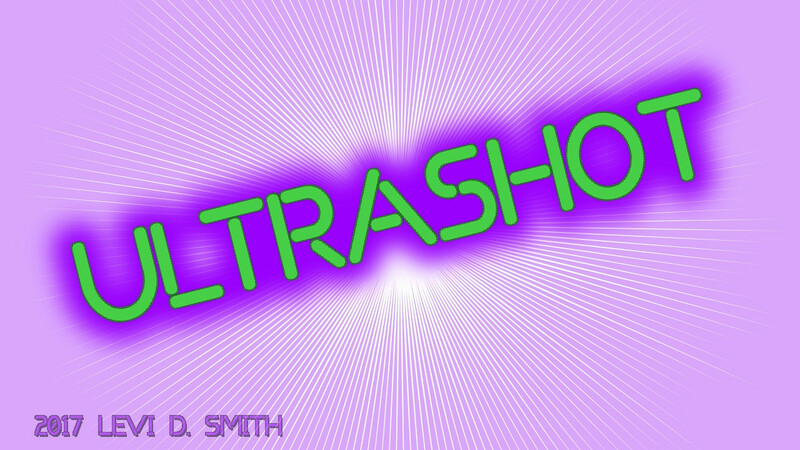 Aim the UltraShot cannon using up and down (or W/S keys) and fire using space or the left mouse button. The green cannons will propel and redirect the ball. Some green cannons will also spin, so aim carefully! Blue blocks will move in a linear motion and bounce off walls. Avoid them! Red blocks will move in random directions. Watch out! The checkered circle is the goal area, which is your target. I gave up on the constant spinning block. That's not for me. I enjoyed the music, it made the waiting more bearable. It's a shame that there's so much waiting as I really enjoyed the concept. Thanks for participating! There's some fun to be had in timing shots and watching them go, but ultimately the levels are too large and elaborate for how little control you have. I think it would be more interesting if you could move or rotate some of the other cannons, turning the levels into something of puzzle. As it is, there's a lot of waiting. At the very least there could be a button to speed up the game. Anyway, the graphics are simple but look pretty nice. The music is good too. The game is better than your previous games but it's frustrating to wait (the game is mostly that: waiting) for the good shots; sometimes it feels more lucky than timing. Ok so I won't say the idea is bad, but you could've implemented it a lot better, basically 90% of the game is waiting, and that's never a good thing, and the player can only control when to shoot, and move the starting cannon a little bit the first time he gets into a level. Now, the music is kinda cool, but way too active for what the gameplay actually is, and the art is alright, I liked the particle effects in the ball a lot, but when the player is supposed to wait so much he'll focus more on art and sound than on the game itself, and that means the sound gets kinda annoying, at least in my experience. I also think the red enemies were pretty bad design, making the game even more luck based than it already was. But, and there is a but, I think this game is a lot better than your previous ones, and the polish you put in it shows a lot more, it LOOKS good, you just have to get the gameplay to be more exciting and less waiting/luck based. Okay so, lots of things to say. 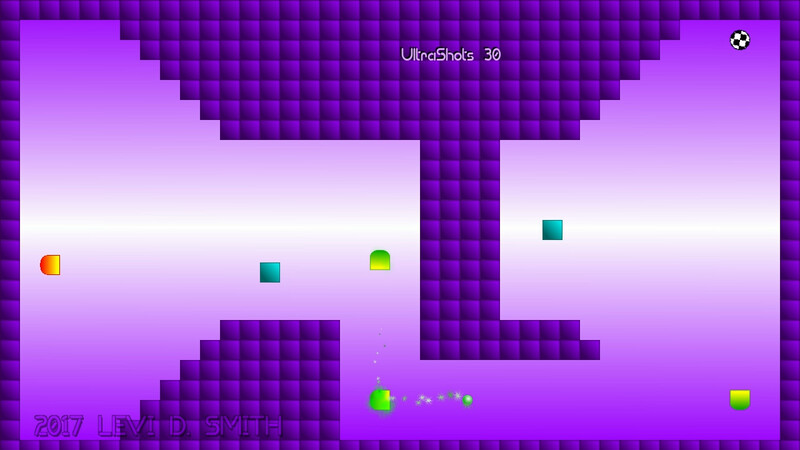 One thing that made me quit the game : in the level from the thumbnail, I went from the last canon to the previous one and the ball just went through instead of shooting back. This is particularly frustrating because you don't really have that much control on things, and getting the timing involves trying once and failing. Would be less annoying if the ball wasn't so slow. And finally the theme is kinda absent here. Great idea! That last level was mean haha. But not too mean :) Good job! 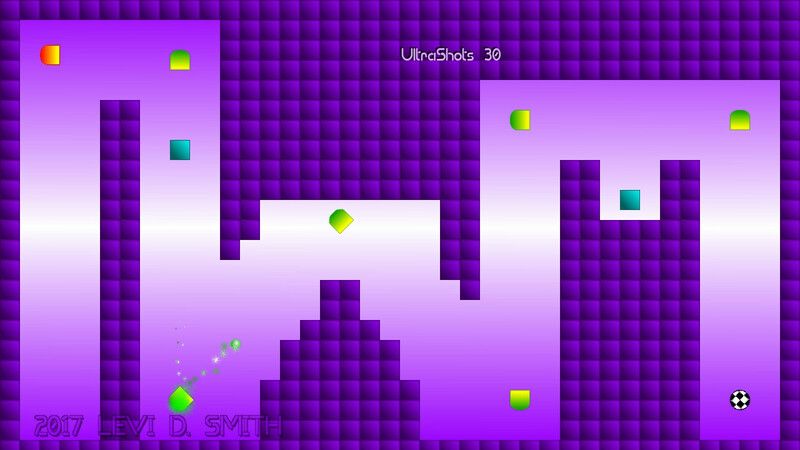 Use the UltraShot cannon to blast the ball to the goal container. Other cannons will assist in directing the ball along the way. 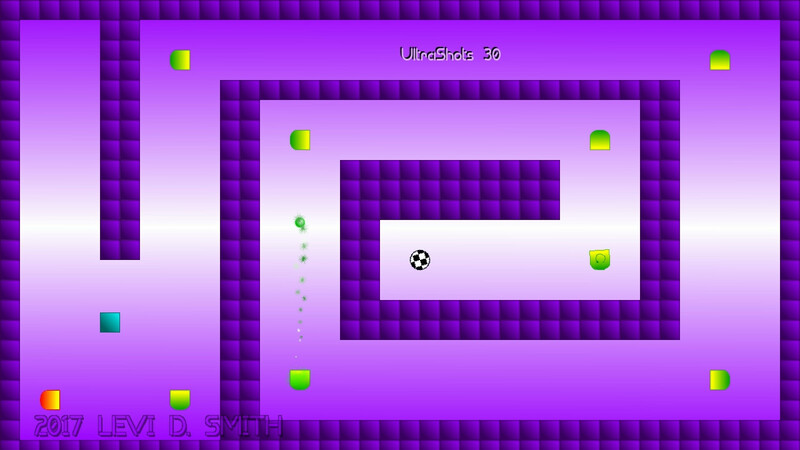 Avoid hitting the wall or blocks in the ball's path. Georgia Tech computer science graduate. I'm just a guy who makes games for fun.